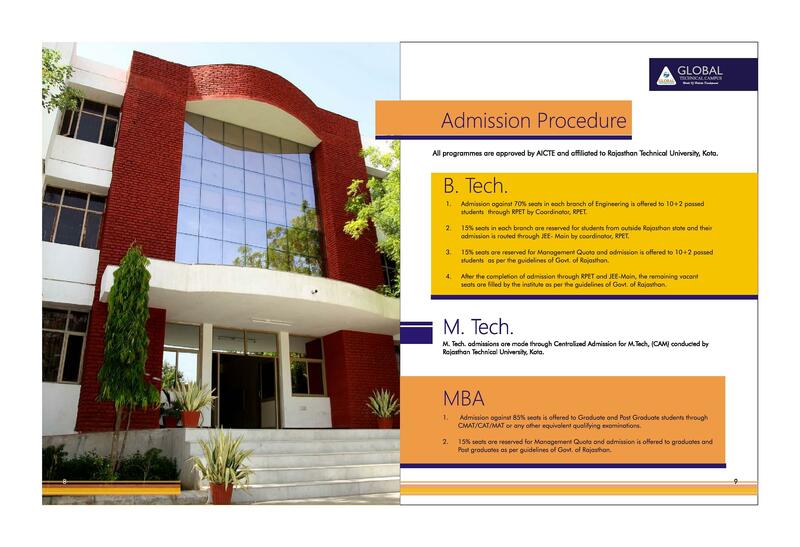 This college provide best opportunity for placement and government sectors. 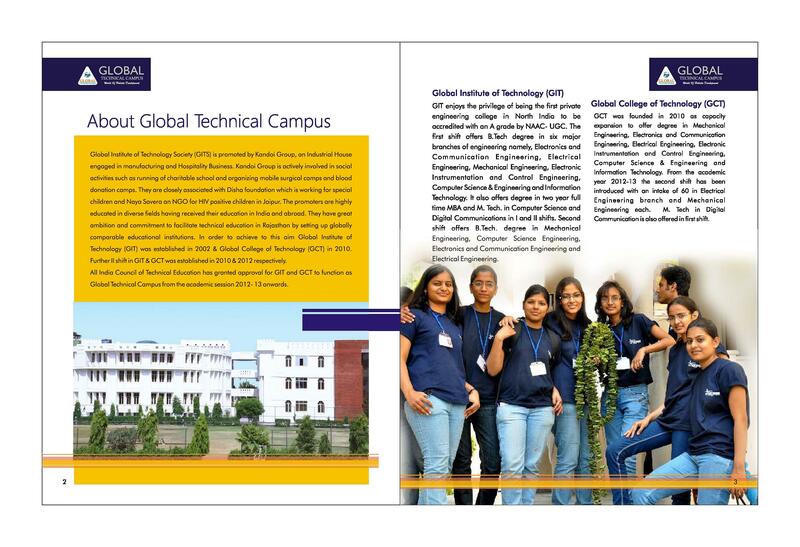 Global College of Technologyis the first private engineering college located in Jaipur and it has been accredited by NAAC-UGC with “A” Grade. 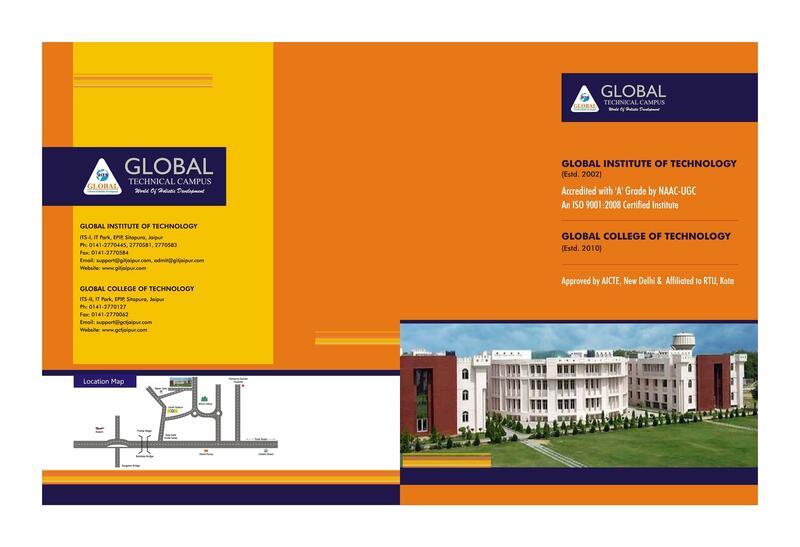 The college is committed to evolve as a top class management and engineering institute in providing high quality and development learning environment. 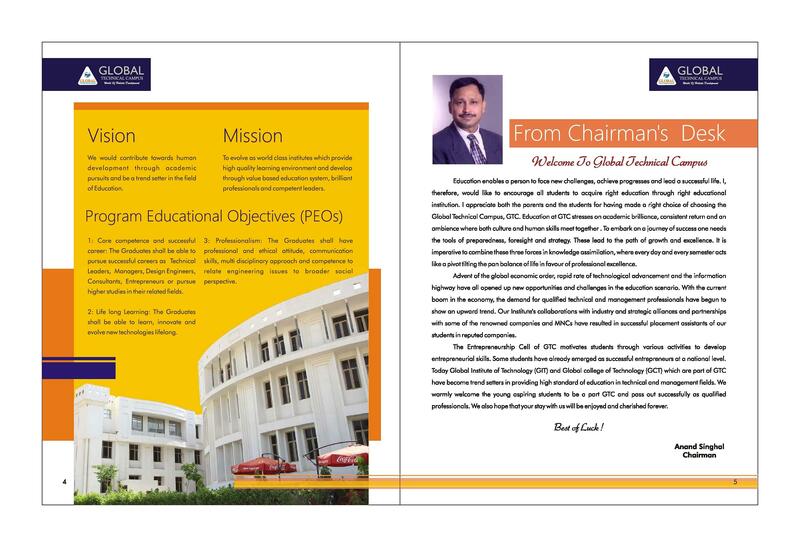 Providing value based quality education for producing competent leaders and professionals in management and engineering is the main vision of the college. 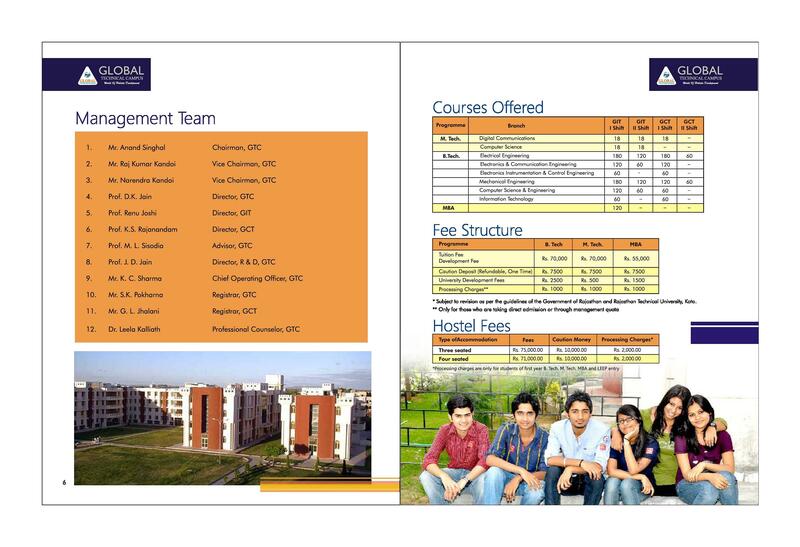 Boarding & Lodging Facilities- The College offers separate hostels for girls and boys and thus it excels in providing healthy environment for healthy interactions with peers and with friends. Medical and banking facilities are also available in close proximity making the entire living experience of a student comfortable and convenient. 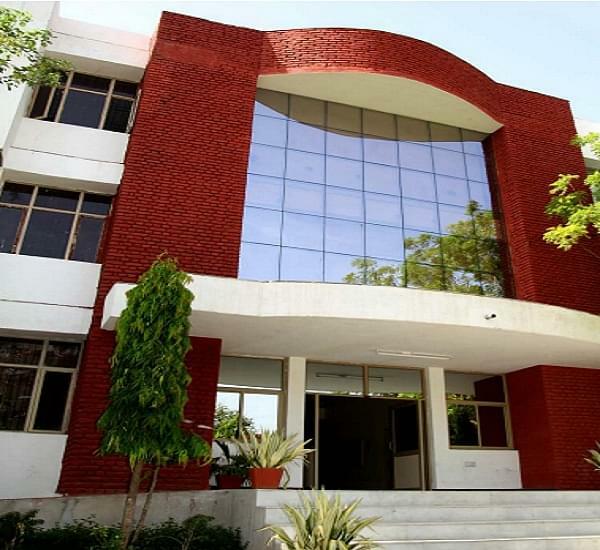 Resourceful Library– The college has an enriched library with a repository of 50028 books. The digital library section possesses 35 computers, 275 E – Journals, CD/DVD ROMs etc. Wi-Fi in the entire area for seamless access of internet to the academicians. Recreational Facilities– The College provides Recreational facilities for students, staff and faculty members, separate gym for girls and boys, health center and twenty-four by seven securities. Academic Bodies– IEEE, CSI, IETE, ISTE and ISHARE are some of the most professional and reputable members of the college.